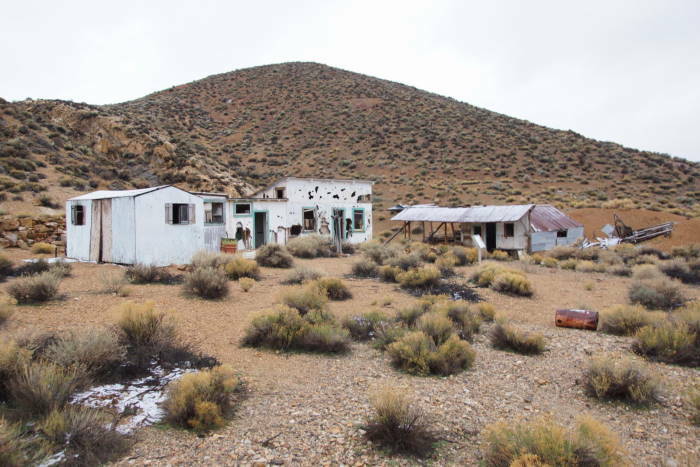 When you’re in eastern California, you’re in the land of ghost towns. 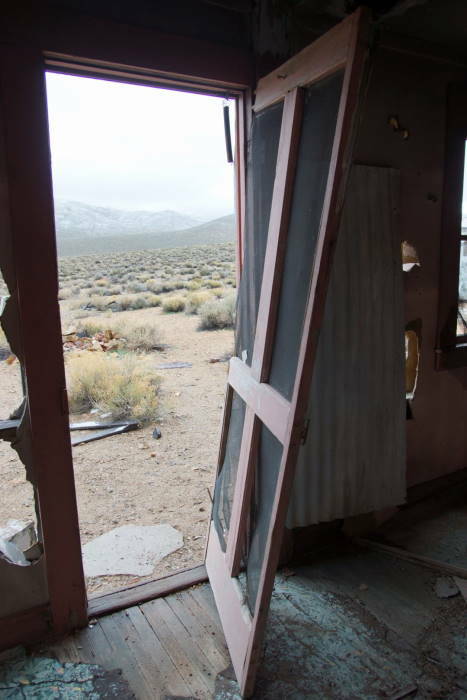 Some are truly entire towns (like Bodie, up the road a few hours from Death Valley), but most are smaller, with just a few remaining foundations. 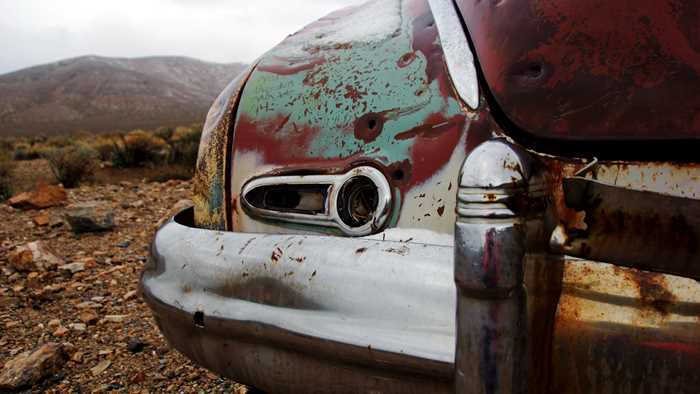 On the east side of Death Valley National Park, you’ll find some ghostly remnants that can’t quite be called a town, but there is one house, one old car, an old mine, and some various related junk at Pete Aguereberry’s old residence. Aguereberry Point is on the western side of Death Valley. From the valley, head west on California Highway 190, then turn south on Emigrant Canyon Road . After 12 miles, watch for the turnoff to Aguereberry Point and the Eureka Mine on the left. You’ll reach the mine and ghost house of Pete Aguereberry in two miles, and Aguereberry Point in 6 miles. Emigrant Canyon Road is paved, but Aguereberry Point Road is not. 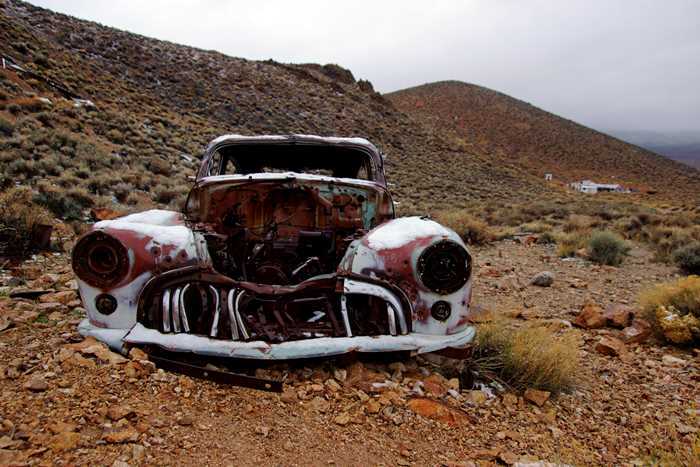 Most cars can handle the drive out to the Eureka mine, but the final mile to the point is 4-wheel-drive, high-clearance only. 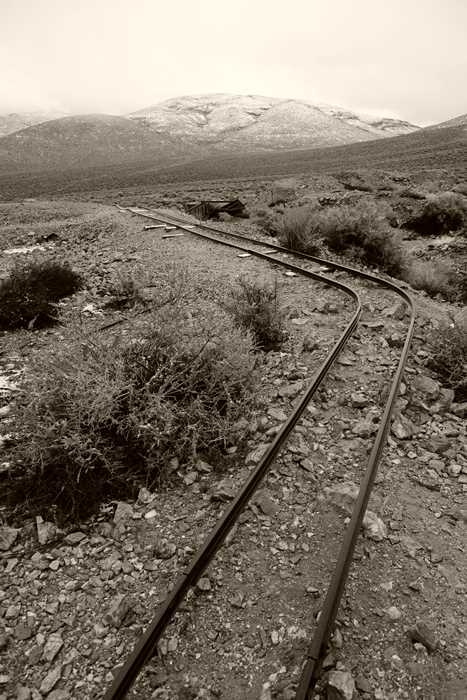 The drive out to a lonely corner of Death Valley National Park pays off with a stop at Pete Aguereberry’s home and mining operation. Watch for a turnoff onto a side road, which leads to a parking area. From there, you’re just down the hill from the old head frame. … and on up the hill above it, where you can look down on the old mining operation. You’ll also have a good view of the surrounding valley. From here, you can experience the solitude that old Pete must have enjoyed, during his decades of mining this hill. 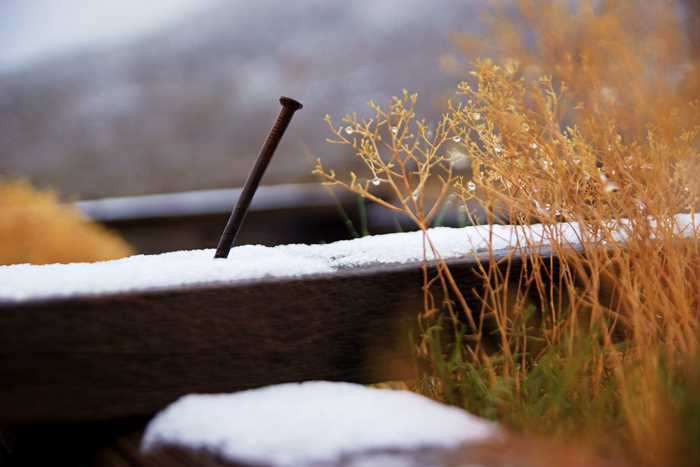 Perhaps Pete himself drove this nail, a hundred years ago. But probably not. At its peak, there were hundreds of men living in the little town of Harrisburg (or Harrisberry) that popped up here. 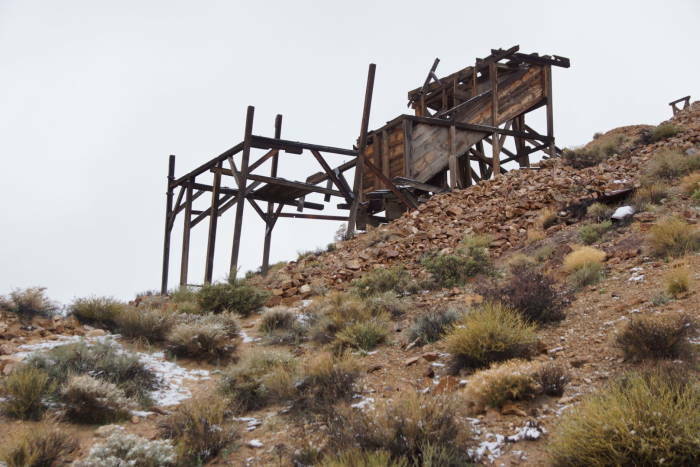 Pete gained control of the Eureka mine in 1909, and worked it until his health began to fail in the 1930’s. Near the end, he was the only one pulling gold ore from the hill. 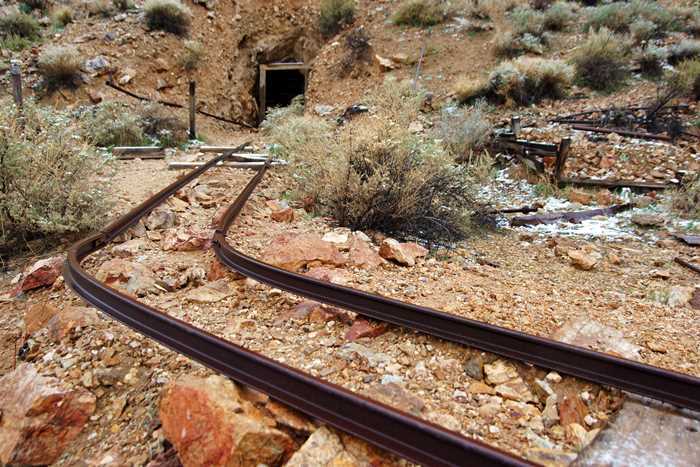 Head back down the hill and look for the entrance into the Eureka mine. It might be open for exploration, provided you brought a reliable flashlight or two. It may also be closed to protect the bats that live inside. I wasn’t feeling adventurous enough to go inside. 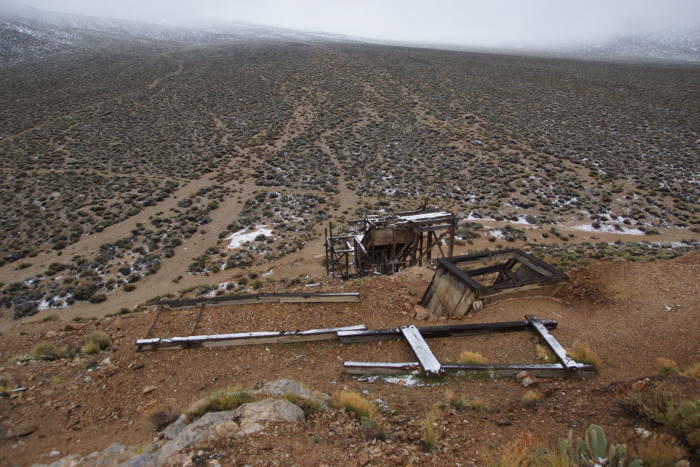 The tracks come out of the mine and make a left, then drop off the edge of an embankment. 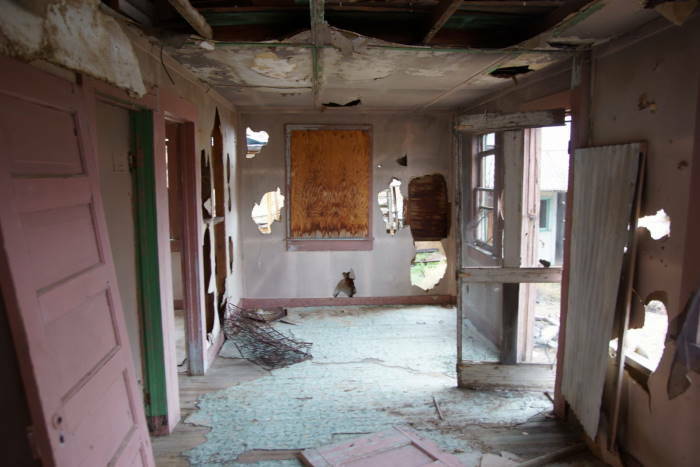 … and you’ll spot this fixer-upper. This old Buick Roadmaster was supposedly used at one time by Pete Aguereberry. In the decades that followed, it’s taken quite a beating. You might think it rolled down the hill, given its condition. But for the most part, the damage appears to be inflicted by park visitors. Most good souvenirs have been scavenged. Of course, you should leave it as you found it. They really knew how to build a car back then! … and take a look around. The house in the middle is the largest structure, dating back to the 1940’s, when it was built as a guest house. Sure, it isn’t in great condition, but it’s surprisingly modern. 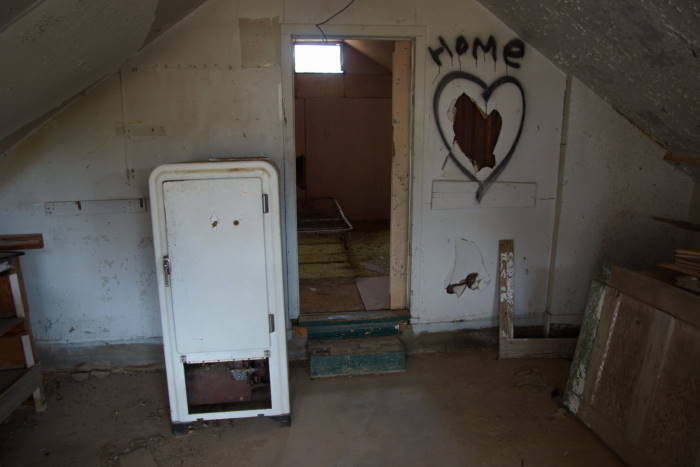 You’ll even find things like a hot water heater, toilet, and shower, as you walk through the rooms. A smaller structure, I believe, is the actual home of Pete. It’s also the oldest building here, with just two rooms — but it also has a refrigerator (so does the guest house). It was around this time that I realized I hadn’t seen another person in quite a while. I had driven all the way out to Aguereberry Point, then back to Pete’s place, and spent probably an hour here. The weather was gloomy, and I still needed to get across the park and to Beatty for the night, so moved on. Pete Aguereberry’s old homestead at Harrisburg and the Eureka Mine are well worth the visit. 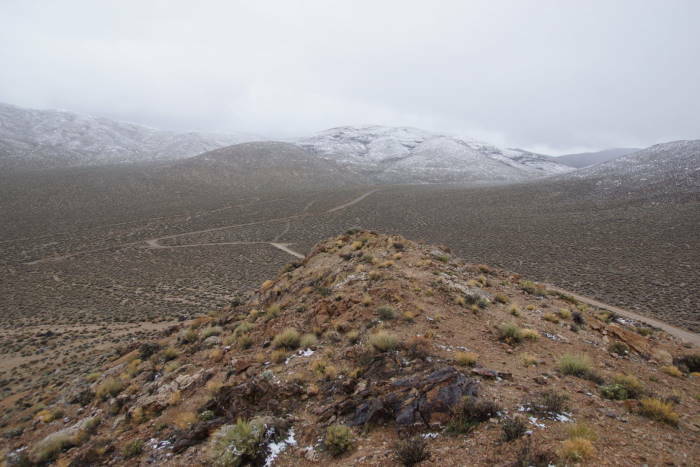 You’ll learn a little about Death Valley’s mining history, but mostly you’ll get to experience what it would have been like to live out here, all alone, searching for shiny rocks inside a mountain.